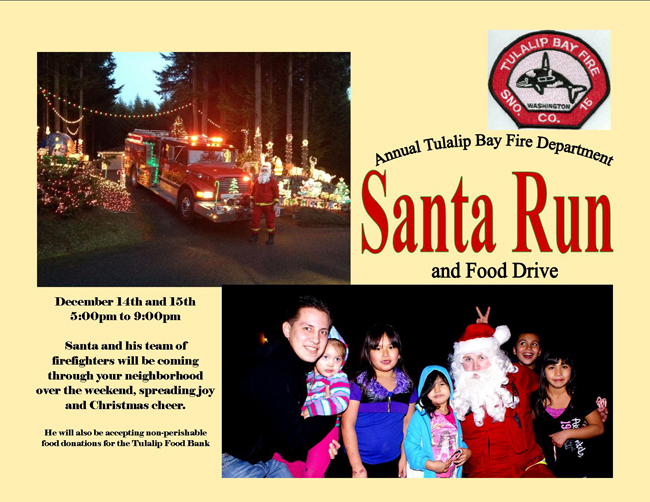 Santa and his tema of firefighters will be coming through your neighborhood in the Tulalip Reservation, spreading joy and Christmas cheer! 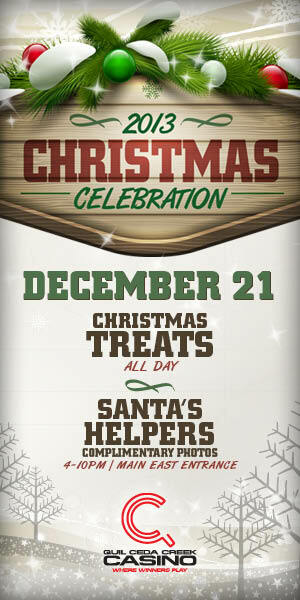 Tulalip, Washington (December 12, 2013) –Cabela’s Tulalip is celebrating Christmas early by giving away more than $3,800 in free gifts to the first 250 customers in line on Dec. 14. Doors will open at 8 a.m. Early weekend shoppers at Cabela’s will enjoy refreshments, games, entertainment, camp fires and more, and will have the chance to take home a Savage firearm, Vista Polaris Bow Package, Coleman camping gear, Cabela’s vacuum sealer, Mitchell 300 Pro fishing Combo or a Cabela’s cash card worth up to $100. The first 250 Cabela’s customers, ages 18 and older, will be given a mystery envelope containing information about their gift. All gifts will be distributed randomly. Winners will be able to pick up their gift at the store immediately after the store opens. Firearm winners will be required to complete a standard federal background check to take ownership of the firearm. Cabela’s store location and holiday hours are available at www.cabelas.com/tulalip. Extended hours will continue throughout the holiday season. The second payment from the $3.4 billion Cobell trust fund settlement won’t be going out before Christmas as anticipated. A notice on IndianTrust.Com says the payments are expected in early 2014. The Interior Department is still verifying who is eligible. “Thus, if the class membership is finally determined in December, the payments can then be made in the first quarter of 2014 barring any unexpected issues,” the notice continues. The delay will put a damper on holiday spending in Indian Country. The first payment of $1,000 went out just before Christmas in 2012. The second payment covers the trust administration portion of the settlement. This class is turning out to be a much larger group of people — approximately 470,000 beneficiaries. The minimum payment for the trust administration class is $800. But many people will receive more, based on the level of activity in their Individual Indian Money (IIM) account.